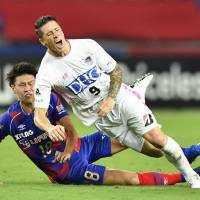 FC Tokyo’s uphill battle for the J. League first division title failed to get any easier on Sunday after it was held to a scoreless draw at home by struggling Sagan Tosu. Tokyo’s second straight scoreless draw left the third-place side winless in its last five league games and 13 points behind leaders Sanfrecce Hiroshima with nine games left to play. 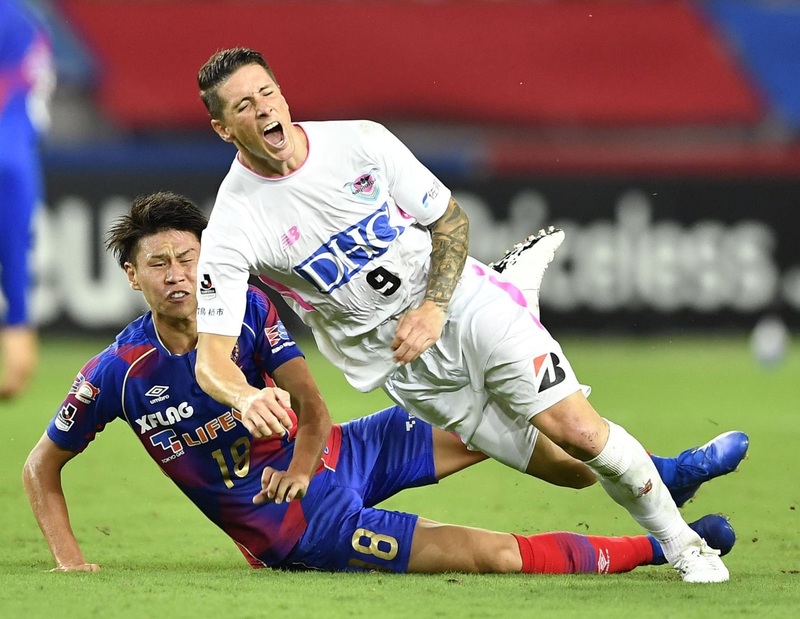 Sagan tried as best as it could to get the ball to former Spain international Fernando Torres, but FC Tokyo’s back line rarely gave the visitors a clear sight of the goal. “We’re having trouble scoring, but everyone is positive about scoring in training and we believe the goals will come,” Tokyo manager Kenta Hasegawa said. “We were in some tough spots in tonight’s game, but our movement was really good in defense. Our back line was very solid. The result leaves FC Tokyo with 42 points, four behind second-place Kawasaki Frontale and one ahead of Consadole Sapporo in fourth place. Both Kawasaki and Sapporo have one game in hand. At the other end of the table, Sagan remains in 16th, three points from safety but two ahead of Gamba Osaka in the second automatic relegation spot.